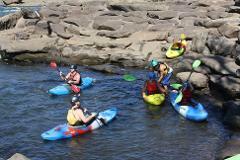 Learn to Kayak with one of our ACA-certified instructors. 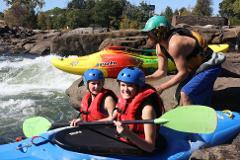 This course teaches the ACA curriculum to become a Level 4 whitewater Kayak instructor. 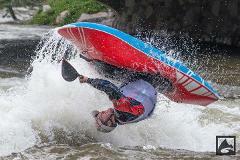 Come join Whitewater Express and instructors David Bazemore, David Peek Sr., Jesse A Hebden, and Francheska Hebden for this extremely fun but very informative course on swift water rescue. 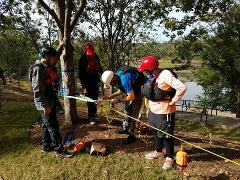 Come join Whitewater Express in this extremely fun but very informative refresher and skill practices on swift water rescue. 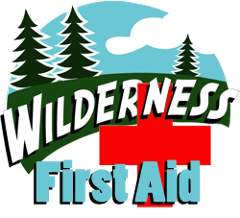 Wilderness First Aid is Scenario based learning will move students’ focus from looking for the “right” answer toward a thought process to find and execute the best solution when faced with undefined situations in the field. 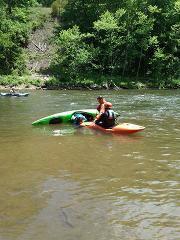 Here is your chance to have a Playboat lesson from 2 World Champions at the same time! 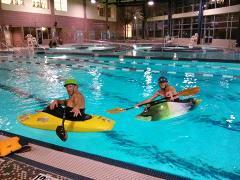 Water is still a little cool so come out and join us in the 80 degree CSU pool for this group roll class.